Our basic essential kit blog post covered, in short, two types of cocktail shakers—the two most popular. 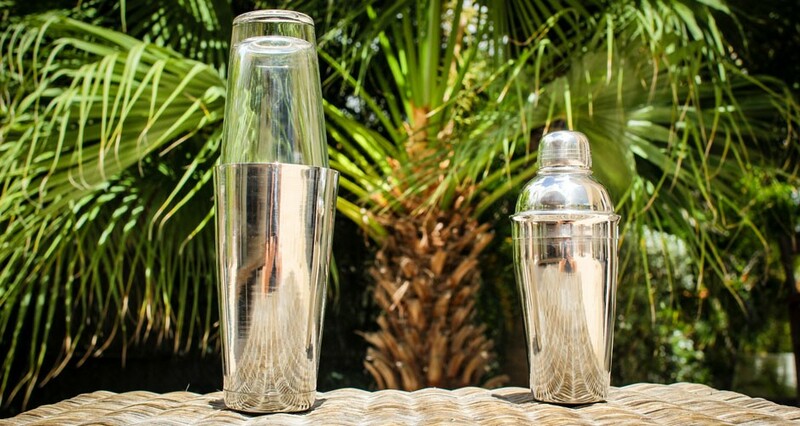 The cocktail world knows 3 types of cocktail shakers though and each type, in turn, comes in different versions. Way to make it complicated right? Every version has its lovable side and things that are hard to love. Which one you choose depends on your own skills and cocktail endeavors. We broke down the science of the cocktail shakers for you. The traditional Cobbler shaker is the household favorite. Its sleek design and the fact that its usage is no rocket science makes it the go-to shaker for novices. The Cobbler shaker is an all-in-one solution consisting of 3 parts: a metal tin, cap, and built-in strainer. You don’t even need a jigger to measure recipe volumes, as the cap is usually 1OZ. A variation of the Cobbler is glass tin with a metal cap instead of a metal tin with a metal cap. If you want to go real fancy you can also purchase the Cobbler in different colors or personalized versions. It will not make your cocktail taste better, but you sure will look good shaking. The Boston shaker is the Major League. 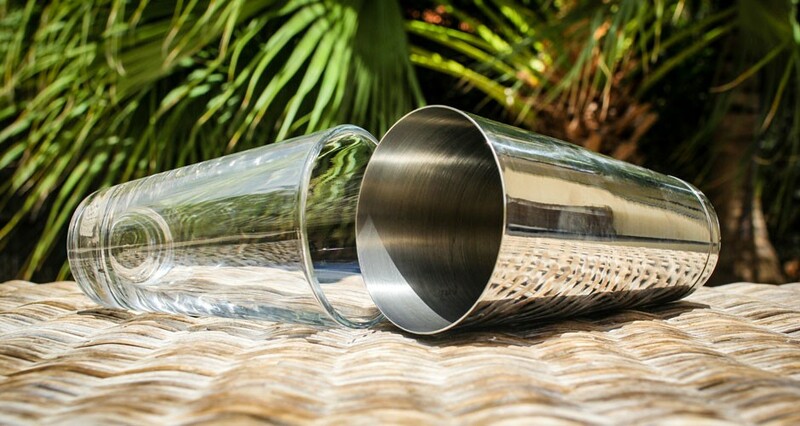 It’s the cocktail shaker of choice for most bartenders and true cocktail apprentices. The Boston shaker consists of a shaking metal tin and a mixing glass tin but has no built-in strainer. For the Boston shaker, a strainer must be purchased separately, which is a Hawthorne strainer. To seal the shaker, you must place the glass tin on top of the metal tin and with a firm grip tap on the back side of the glass tin. To unseal you have to tap the side of the metal tin. This water sealing must be done carefully and perfectly so you don’t either break your glass tin or be wearing a cocktail shirt the rest of the evening. 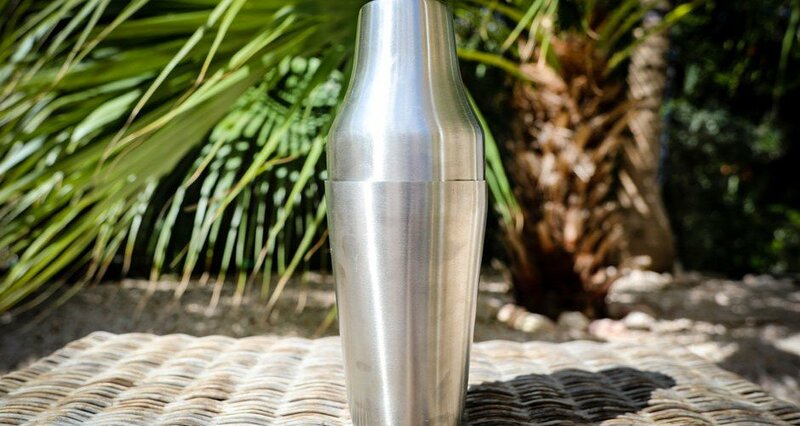 An up-and-coming, but still hard to find, cocktail shaker is the Parisian/French-style shaker. This shaker has been around for centuries, but it wasn’t till recently that it started gaining momentum. 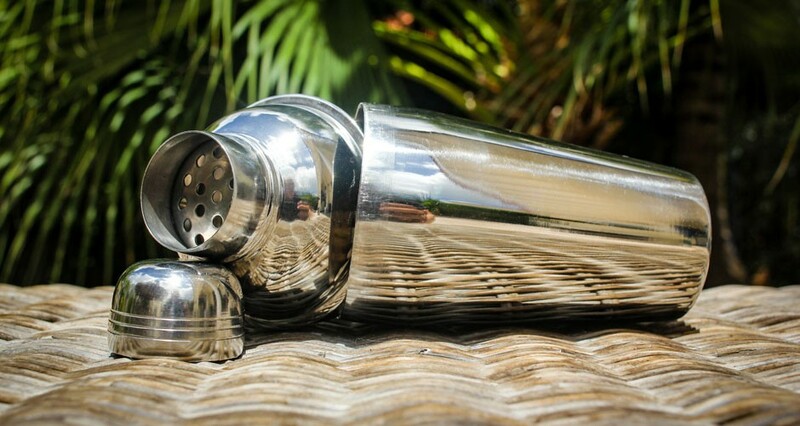 Not weird since this shaker is a beauty to look at. The Parisian is in-between the Cobbler and Boston shaker. It has the shape of a cobbler, but like the Boston, it misses the built-in strainer. Though the Parisian is built as the Cobbler, it is a bit easier to open than the Cobbler.